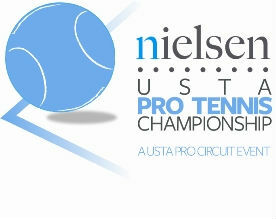 Q: The $75,000 Nielsen Tennis Championship is referred to as a “Challenger” tournament…what is a Challenger tournament? 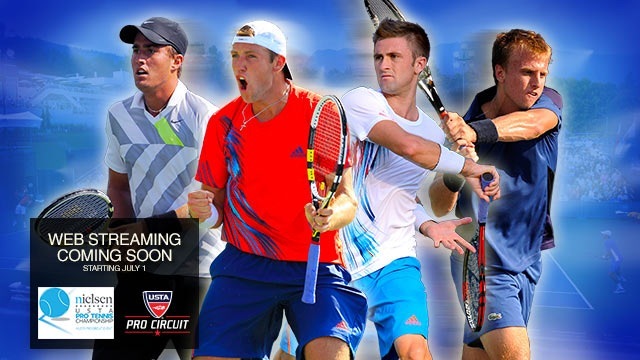 A: Challengers along with Futures tournaments make up the USTA Pro Circuit. These events are a professional tennis player’s stepping stone to top tier USTA and ATP tour tournaments and majors such as the US Open. Higher-level Challenger tournaments, such as the Nielsen Championship, showcase players with rankings from approximately 50 to 200 in the world. The USTA Pro Circuit started over 20 years ago and is the most comprehensive development tour in the world, with over 2,000 tournament players each year. A: Players from all over the world participate in the tournament. This reflects the international character of tennis. Players from Canada, Venezuela, Germany, Great Britain, Australia, Chile, the Netherlands, China, Puerto Rico and Argentina have played in the Nielsen tournament over the years. Many of our matches are also live streamed over the internet to allow anyone in the world to view the match. A: No – they are touring professionals. The players travel virtually every week to compete in tennis tournaments around the world in order to earn ATP ranking points. A: Watch the early rounds or check the scores of any top tier tournaments or Grand Slam events and you will recognize many of the players that participate in the Nielsen Tennis Championships. A: There is $75,000 in total prize money to be awarded along with valuable tour ranking points. The singles winner receives $7,700 and second place is awarded $4,200 while each member of the winning doubles team receives $2,800 and the runners-up $1,500. 2) If their world ranking is approximately #150-600, they can play in the qualifying tournament which begins on the Saturday before the main draw. The four players who win all three of their matches in the qualifying tournament gain entry into the main draw. A: Please join us for our main draw featured evening matches, scheduled each night during the week.